A creamy, nourishing cream that is rich in natural extracts: Shea Butter, Sweet Almond Oil, Geranium Extract and Vitamin E to help reduce fine facial lines and regenerate skin cells. Also contains SPF15 for daily sun protection. 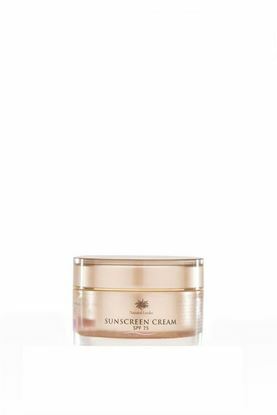 Rich, nourishing Cream containing Vitamin E, Shea Butter, Jojoba Oil and Sweet Almond Oil especially good for dry skin. 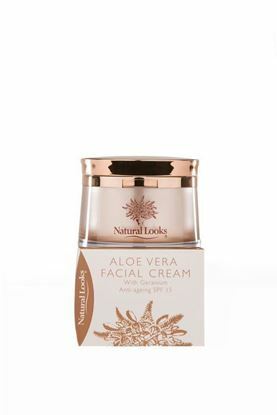 Moisturising Facial Cream containing Sweet Almond Oil, Comfrey and Chamomile Extracts, Vitamin E and Aloe Vera with sun protection factor 25. Suitable for all skin types. Help hold back time with this multi-tasking formula of vitamins, minerals, moisturisers, humectants and anti-oxidants. Rich in Vitamin C to improve your skin's texture and elasticity helping to reduce age lines and promote an even skin tone. An indulgent blend of natural oils and extracts enhances collagen production, boosts hydration, plumps up the epidermis and restores your natural radiance.